Explanation: What star created this huge puffball? 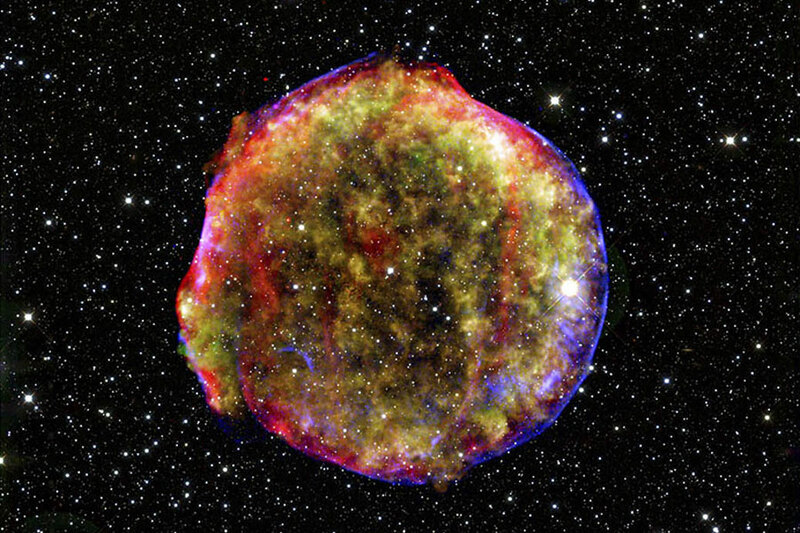 Pictured above is the best multi-wavelength image yet of Tycho's supernova remnant, the result of a stellar explosion first recorded over 400 years ago by the famous astronomer Tycho Brahe. The above image is a composite of an X-ray image taken by the orbiting Chandra X-ray Observatory, an infrared image taken by the orbiting Spitzer Space Telescope, and an optical image taken by the 3.5-meter Calar Alto telescope located in southern Spain. The expanding gas cloud is extremely hot, while slightly different expansion speeds have given the cloud a puffy appearance. Although the star that created SN 1572, is likely completely gone, a star dubbed Tycho G, too dim to be easily discerned here, is being studied as the possible companion. Finding progenitor remnants of Tycho's supernova is particularly important because the supernova was recently determined to be of Type Ia. 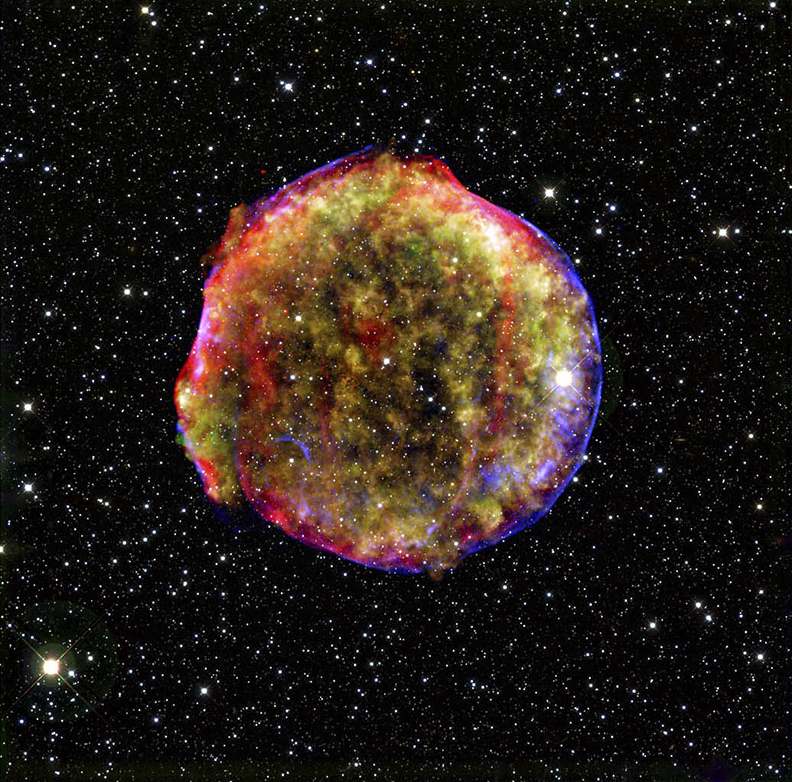 The peak brightness of Type Ia supernovas is thought to be well understood, making them quite valuable in calibrating how our universe dims distant objects.